We are a leading Manufacturer of confectionery plastic pet jar, pet plastic fruit jar and plastic pet confectionery jars from Ahmedabad, India. Owing to perfection and quality oriented approach, we have carved niche in the industry by offering Confectionery Plastic Pet Jars. This pet jar is made of food grade plastic and offer completely safe and odorless storage solutions, keeping the ingredients fresh and intact. 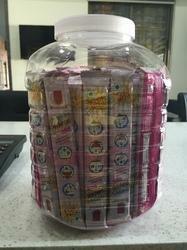 Offered pet jar is comes in diverse sizes finishes keeping in mind the needs of customers. 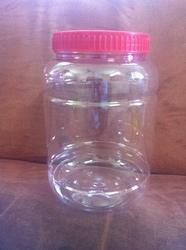 Our respected customers can avail this pet jar from us at market price in a promised time period. 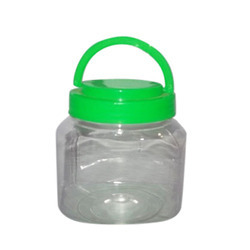 Our company is counted as one of the leading companies involved in manufacturing and supplying widespread array Pet Plastic Fruit Jar. Our range is manufactured using finest grade raw materials that are sourced from trusted vendors after thorough market research and survey. Owing to superior transport facilities and robust warehousing that is well connected via major roads, we ensure timed dispatch. Manufactured using finest quality grade plastic, our range of Plastic Pet Confectionery Jars is in high demand. Available in varied shapes and sizes, our Plastic Pet Confectionery Jars suits the need and demand of our clients.